This walk will take you around the precinct of the former Beechworth Lunatic Asylum, later Mayday Hills Hospital. The main building dates back to 1867 and over time there were nearly 40 buildings. The Hospital was one of Victoria’s three major country asylums for about 130 years until its closure in 1995. At its peak in the 1960s, the Hospital housed 1000 patients. 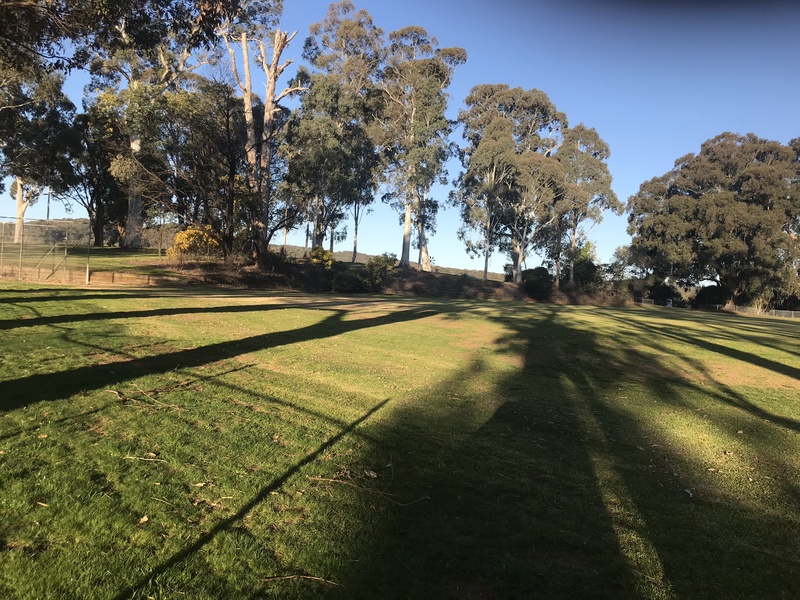 Surrounded by nearly 290 acres of farmland, Mayday Hills was completely self-sufficient with a farm, piggery, orchards, kitchen gardens, tennis courts and its own theatre. The gardens cover an area of 27 acres. They were planted in the late 19th century as a botanical setting of exotic trees and shrubs, donated by the Royal Botanical Gardens in Melbourne. The gardens are set against a backdrop of magni cent native trees, most notably Brittle Gums. National Trust (Victoria) has recently classified over 200 Mayday Hills trees as significant at a Regional or State level. The tallest tree in the gardens is a 50 metre high Douglas Fir, seen on the White Oak Walk. Please wear comfortable shoes, as the walks include stretches of rough grass as well as paved sections. We hope you will enjoy the beauty and tranquillity of these gardens and trees and we encourage you to visit again in the splendour of spring or autumn.